Welcome back to our Best Practices for Social Media! By now, you should have a sufficient list of topics to post to your social media platforms, as well as, ideal times to post. Now, we are going to dive into specific features to include in your posts to increase your audience reach. With continuously changing newsfeeds of content from thousands of different users, it’s important to include certain triggers for visual content and optimization. Otherwise, your post may go unnoticed. Considering newsfeeds are constantly being updated faster than anyone can keep up, posts solely containing words can get jumbled in the madness and go unnoticed. According to Dr. Lynell Burmark, educational consultant who studies visual literacy, “Words are processed by our short-term memory where we can only retain about seven bits of information (plus or minus 2). Images, on the other hand, go directly into long-term memory where they are indelibly etched.” Furthermore, the Visual Teaching Alliance gathers that our eyes can register 36,000 visual messages per hour, and visuals are processed 60,000 times faster in the brain than text. Therefore, make your posts stand out! Add an intriguing photo or video clip relevant to your content. If the image is interesting, the viewer may stop to read your post or click the attached link. Based on an analysis from Twitter, tweets with photos receive 35 percent more retweets, and videos receive 28 percent more retweets than the average tweet. Additionally, socialbakers.com discovered that Facebook posts with photos accounted for 87 percent of total interactions among 30,000 different brand pages. Follow our blog and keep an eye out for best practices on how to post imagery to social media. While posting photos and videos may give you an increased engagement rate once noticed, you still need to ensure your posts gain optimal exposure. The number sign, once known as the pound sign on a telephone or as the foundation of our favorite childhood pastime (Hopscotch), is now most commonly known as the hash or hashtag, a means to increase reach on social media (Twitter, Instagram, Facebook). 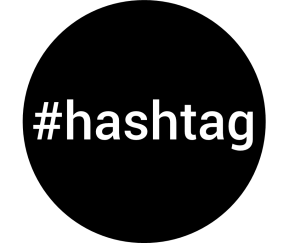 According to Hubspot, posts with hashtags see an average of 60 percent more interactions. However, it’s best to not replace every other word or phrase with a hashtag. We assume you don’t usually speak like Jimmy Fallon and Justin Timberlake in their #Hashtag skit, so don’t write your posts like that. A report by Salesforce revealed that tweets with just one to two hashtags receive 21 percent higher engagement than those with three or more. With the exception of Instagram that gets the highest engagement with 11 hashtags (Track Maven), keep it simple, and tag only those words most significant to your topic, words that your audience will be most likely to search. You can always check out the top daily hashtags and use the ones relevant to your industry and/or post. These can be found on the left column of Twitter (Trends), the right column of Facebook (Trending) and under the search icon on Instagram. We all know this symbol – to imply a question, which if done correctly, solicits an answer all on its own. Including questions in your social media posts is a win-win. 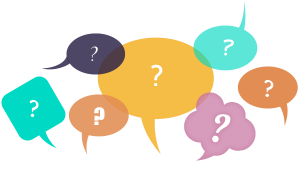 Asking your followers questions about themselves helps you build an identity of your audience demographic; asking them specific industry questions can build engagement on your page, as well as, allows your followers to look “cool,” knowledgeable. According to Hubspot, posts/tweets that ask questions receive 23 percent more engagement on average. So, throw in a few questions here and there on your social media platforms and watch your engagement rise, while you also get to know your audience. That subtitle alone may invoke strong emotions in you. Exclamation points and the traditional happy face just tend to stand out among the remaining punctuation marks and emoticons. According to Emoticons in mind: An event-related potential study, scientists have discovered that when we look at a smiley face online, we activate the same parts of the brain that we would looking at a real human face. When we see someone smile, our natural response is to feel happy or smile in return. While this symbol used to be viewed as unprofessional, it is growing increasingly popular among the corporate world. However, just like anything else, overusing this can be viewed as unprofessional, insincere. Give your followers something to smile about, but use the happy face sparingly to maintain your brand’s integrity. Use the exclamation point carefully as well, as this one can invoke both positive and negative feelings in a person. The exclamation point has several uses – for exciting, over the top news, as well as for an alert or emergency. You don’t want your followers to feel like you’re shouting at them, so if you have exciting or emergency news, throw in one exclamation point for attention, but then end the rest of your post with periods. And, as with the happy face, save your exclamation points for the happiest or scariest of news to maintain your brand’s authenticity.